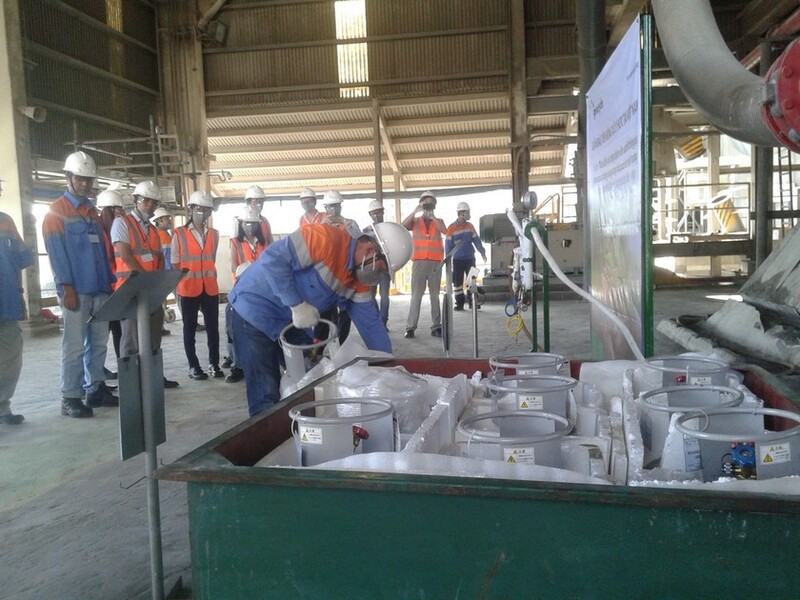 With the witness of representatives from the ministries of Environment and Natural Resource, Industry and Trade, Hon Chong Cement Plant (under the Holcim Vietnam) and Mitsubishi of Japan treated 123 kilogram of Hydrochlorofluorocarbons (HCFC). The HCFC is widely used in the refrigeration, foam, solvent lower ozone depleting potentials while ozone layer protects the earth from harmful amounts of ultraviolet radiation. Accordingly eliminating HCFC will contribute to protect Ozone layer. Since 2012, the Holcim Vietnam and Mitsubishi of Japan conducted a project to replace 500 old air conditioners with ones equipped with inverter technology at Hanoi-based Viet-Duc (Viet-German) Friendship Hospital and HCM City-based 115 People's Hospital as part of a green-hospital model in Vietnam. The replacement will help the hospital save 30-40 percent of energy. The HCFC is contained in gas containers to transport to the cement plant for treatment in oven. This is a feasible and friendly-environmental measure. 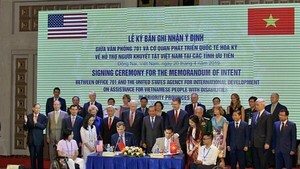 Deputy director of the Bureau of Meteorology and Climate Change Nguyen Khac Hieu said that as per the World Bank’s report, in 2009 and 2010, Vietnam produced around 3,519 tons of HCFC. The Southeast Asian country has pledged to reduce 10 percent of HCFC in 2015 and 30 percent and 97.5 percent by 2020 and 2030 respectively. Accordingly, successful treatment of HCFC in the cement plant has important meaning, Hieu said.